Electronic artist OSITO has been a master collaborator for some time, having seen significant streaming success in his work with the likes of Double V, Roman Meeser and DJ Xquizit. Osito’s collabs have landed him badges of honor, charting on dance playlists internationally and being featured on Spotify highlights. Singles “Unison” and “Monster” have displayed OSITO’s dark yet strangely playful EDM, which handles the bitterness of love and life. OSITO is no slouch, having trained classically on the keys and studied at the Salt Lake School for the Performing Arts in music production and audio engineering. OSITO has lent to numerous other artists, and Sal is the debut solo project proving his auditory acumen. Sal, Spanish for salt, opens with “Jealousy,” a world music–influenced track with subtly autotuned vocals and a nearly pop vibe. Rhythmically, “Jealousy” is engaging and unusual, with dour lyrics but an upbeat feel. That same sensibility veers into “Twenty Four,” a reflection in disappointment and disenchantment as one ages into young adulthood. “Senseless” takes a slightly differing tonality, playing in warped R&B territory with clever and spontaneous sampling. The vocoder becomes heavy-handed in this track, a common trouble with the genre in which OSITO is supposedly dabbling with in Sal. 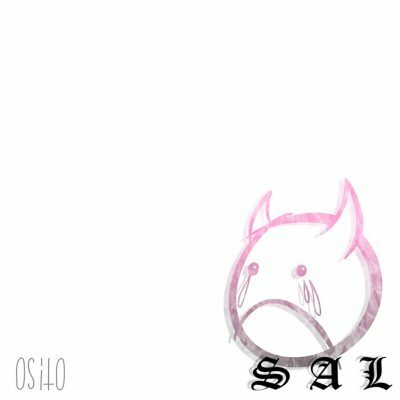 Closing track “Monster” redeems Sal with a watery, roiling electronic energy matched by an appropriately grueling dubstep drop. Though the sounds of “Monster” can be grating, they convey the message of the song effectively, making it a standout track and a strong yet unsettling conclusion.